CARLSBAD — They will swim, cycle and run for miles and grind through the pain to cross the line at the 35th annual Carlsbad Triathlon. The long-running event will also bring a nostalgic touch, as photos from the previous 34 years will be strung along the seawall at Tamarack State Beach. Rachael Shay, recreation supervisor for special events, said this year’s triathlon will also include finishing medals for the sprint event. The race begins Sunday at 7:30 a.m.
About 700 athletes will take on a one-kilometer ocean swim, 25K bike course and 5K run from Carlsbad Boulevard to La Costa Avenue. Safety, meanwhile, is a top priority, she added, as the city and state lifeguards work together to watch over the athletes in the water. In addition, Shay said “swim buddies” are available to provide help and confidence to those battling the current. Once the athletes complete the swim, they will transition at the Tamarack State Beach parking lot for their bike ride, culminating with the 5K run to finish the race. The hundreds of athletes, though, mark a dip in attendance, Shay said. Saturation of events, plus the introduction of endurance races such as Tough Mudder have chipped away at the triathlon’s attendance. Shay said the city aims to reach 1,000 once again, although at its peak, the triathlon topped 1,200 competitors. She said 1,200 makes for a more crowded race, especially in the water, while 1,000 is about what would be a solid number. The event was formally catered to professional athletes, but the race became too aggressive, Shay said. The city scaled back the triathlon and focused on amateur athletes looking to stay in shape or scratch off an item from their bucket list. Some professionals, however, still participate using it as a training device before taking on more competitive events, Shay said. Over the years, however, Shay said the biggest changes to the race have been the course. 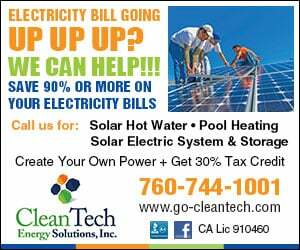 It used to run past the Flower Fields, east on Palomar Airport Road and even crossed the La Costa Avenue-Interstate 5 overpass. But now it is more streamlined and coastal driven, Shay said. 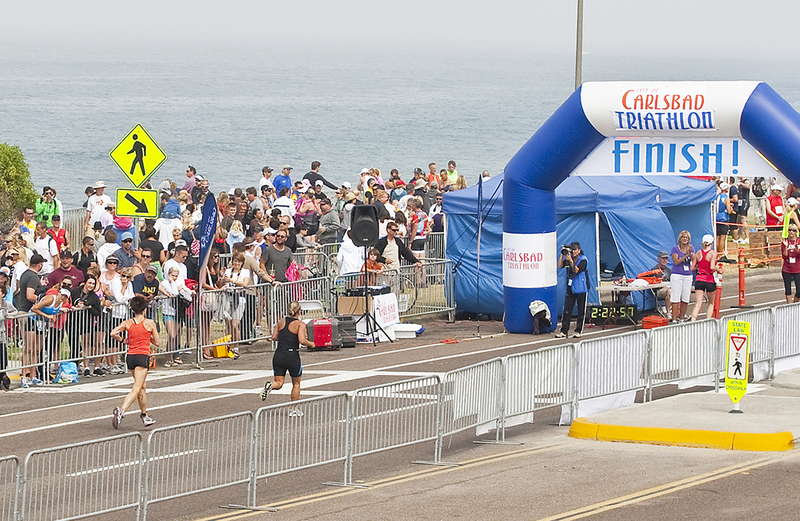 The triathlon is one of four major athletic events in Carlsbad, which includes the Carlsbad Marathon, Carlsbad 5000 and the Carlsbad Grand Prix, which returns July 17. Roads will be closed along Carlsbad Boulevard from Pine Street to La Costa Avenue; Tamarack Avenue between Carlsbad Boulevard and Garfield Avenue; Palomar Airport Road between Carlsbad Boulevard and Avenida Encinas; Poinsettia Lane between Carlsbad Boulevard and Avenida Encinas; and Avenida Encinas between Carlsbad Boulevard and Ponto Drive. Shay said she expects the roads between La Costa Avenue and Cannon Road to open by about 11 a.m., while the rest of the roads along the course will be open by 1 p.m.